Italy has many beautiful and historic cities with good restaurants, shopping, and nightlife. Traveling by train is the best way to visit Italian cities as driving and parking are difficult. 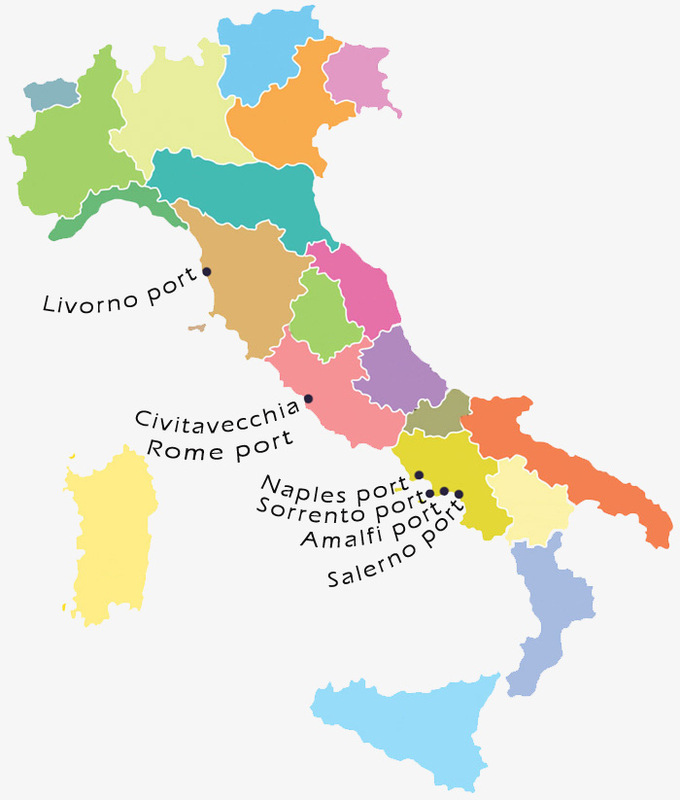 Each city has its own character and attractions so use this guide to find the top cities to visit on your travels to Italy. Tuscany is a top region for Italian vacation. Tuscany has historic hill towns, wine regions, and beautiful countryside. Parts of Tuscany, such as Florence and Siena, can be explored by train while a car is best for visiting smaller towns and touring the countryside. This is a good region if you want to stay in agriturismo ranging from simple budget accommodations to luxurious suites and apartments. Southern Italy has beautiful beaches and scenic coastline, a wealth of Roman and Greek sites, and several unique attractions. In general, most of southern Italy sees fewer tourists, has a more leisurely pace, and often has lower prices than more popular Tourist Destination Southern Italy’s Amalfi peninsula has some of Italy’s most spectacular coastal scenery. In summer it’s very crowded but its mild temperatures make it a year-round destination. Sorrento is easily reached by public transportation and makes a good base for those without a car. During high season, ferries are the easiest way to get around but buses run along the peninsula all year. There’s good shopping here and nearby Bay of Naples attractions such as Pompei and Mount Vesuvius can be visited, too. Take a look at the Amalfi Coast and Bay of Naples. Italy has many beautiful lakes that make good vacation destinations. Popular travel getaways since Roman times, Italy’s lakes offer charming villages, resorts, hiking trails, and a wealth of water activities. From the famous and popular northern Italian Lakes Como and Garda to smaller lakes of central Italy, use this guide to find your favorite lake in Italy. Italian Riviera villages like the Cinque Terre are popular coast destinations, especially in summer. With a relatively mild climate, most villages can be visited almost any time of year. Public transportation is good and most of the area can be visited using trains, buses, or ferries. You can use one town as a base and explore the rest of the coast on day trips. Besides beaches and spectacular scenery, there are castles and good seafood, too. Here are travel suggestions for seaside resort villages between Genoa and Tuscany. we are your source for customize your vacation package, design your tour in Italy. Enjoy a wonderful small group tour from Rome to visit the enchanting Italy. Start from Rome and visit Florence, Siena and Chianti vineyard, Pompeii, Sorrento and Amalfi coast, Venice , Como Lake and Cinque Terre. Venice is one of the most beautiful and romantic cities in Italy with winding canals, gondolas, and narrow streets for losing yourselves together. Besides the spectacular Piazza San Marco and cathedral, there are many small picturesque squares and churches. Venice has many romantic restaurants and cafes where you can linger. Venice is Italy’s top destination for Carnevale festivals. Lake Como, ringed with beautiful villas and resort villages, has long been a romantic travel destination Bellagio, known as the pearl of the lake, is one of the most romantic villages. Surrounded by hills and mountains, Lake Como is in the Italian Lakes District near Switzerland. For a romantic view of the lake and alps, take the funicular from Como town to the village of Brunate. Positano, on the Amalfi Coast, is one of Italy’s most romantic destinations. The picturesque town is built vertically on the face of a cliff, making for stunning views of the sea. There are romantic restaurants with fantastic seafood and sea views. With its relatively mild climate, Positano can be visited year round. The enchanting island of Capri has been a favorite destination since Roman times. Capri has romantic views, secluded coves, and stunning beauty. The island is awash with fragrant flowers scenting the air, adding to the romance. Verona is famous for the house and balcony said to belong to Juliet in the Shakespeare story, Romeo and Juliet. Romantics flock to Verona to visit Juliet’s house, rub the right breast of Juliet’s statue for luck, and take a picture of the balcony. Attending an opera in the 2000 year old open-air Roman Arena is also romantic. Enjoy a romantic carriage ride, stroll along the river, or relax in an outdoor cafe on the square. Taormina has been one of Sicily’s top travel destinations since it became part of the European Grand Tour in the 19th century and Sicily’s first resort. Perched on the side of Monte Tauro, the town offers romantic views of the coast and Mt. Etna volcano. Below the town are excellent beaches where you can swim in the clear sea water. Taormina has a medieval quarter, castle ruins and a Greek theater still used for summer performances. If you prefer smaller more intimate towns on the coast try the Gulf of Poets, Golfo dei Poeti, popular in the past with romantic poets like Byron and Shelley. Even in summer you won’t find big tourist crowds. Nearby are the famous Cinque Terre , romantic at night but usually overrun with tourists during the day.